While thumb sucking is a normal and somewhat beneficial habit for very young children, it can actually harm a child’s development if it persists for too long. That’s why dentists urge parents to pay close attention to their toddler’s oral habits. The following are a few issues that may result after prolonged thumb sucking, as well as ways parents can break the bad habit in their kids. Surprisingly, thumb sucking can begin when a baby is still in the womb. For most kids, the habit begins in the first three months of life as a natural reflex that provides comfort and security. Additionally, some kids will outgrow the habit on their own without the need for the intervention of parents or dentists. With other children, the habit may be a lot harder to break. This can result in quite a few damaging effects, including malformation of teeth. In some cases, the front teeth may jut out while the molars are pushed back (known as posterior crossbite). Other kids may develop an anterior open bite, which is when the front teeth fail to come together properly. In general, dentists recommend that parents wean their children off both thumb sucking and pacifiers around the six-month mark. Positive reinforcement is a good way to break the thumb sucking habit. Encourage your child to stop and offer generous praise when he or she does well. Your child may also be anxious, as thumb sucking can be comforting to kids. If this is true, try to focus on and remove the underlying cause of anxiety. 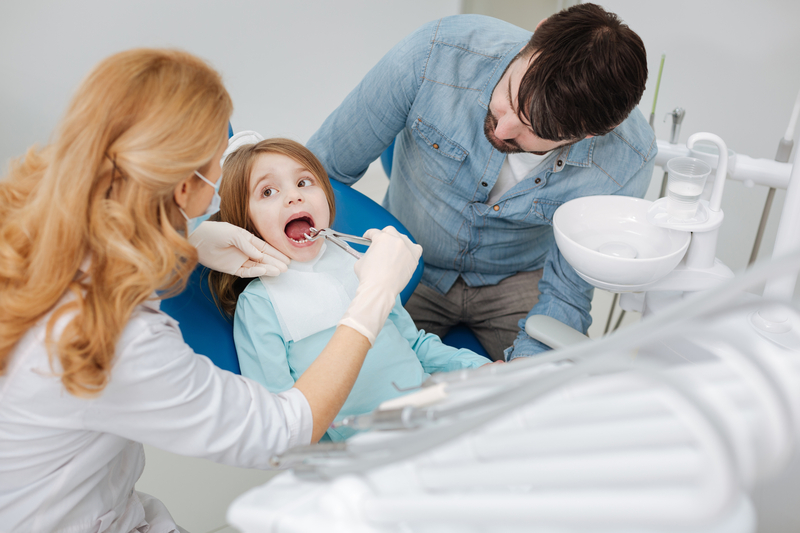 When dealing with older kids, visits with your dental care team are indispensable. Not only can they monitor oral development, but they can also explain to your child the damage caused by thumb sucking in kid-friendly terms. Smile Central Dental believes that optimum oral health begins in early childhood. That’s why they support families in Paterson, NJ with their dental care needs, whether you’re concerned about your child’s thumb sucking or are in search of information about braces. This kind and caring team can even help kids with special needs ensure their smiles remain bright and healthy for life. Schedule an appointment for you or a loved one today by calling (973) 742-4200. You can also learn more about pediatric dental care by visiting the website.